We claim ourselves as a leading and most proficient company with proven records in building Enterprise level website and apps on PHP. With almost 10+ years of development expertise we are extremely passionate about core languages used in web technologies. 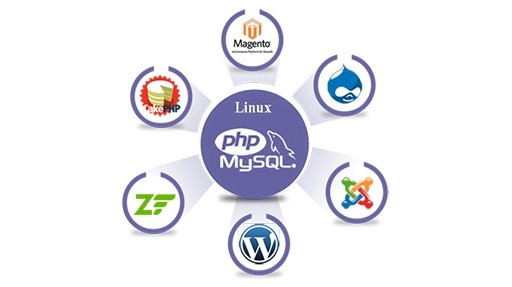 PHP and its related frameworks like Codeignitor, jQuery, AJAX being our favorites. We certainly take up projects with high level coding and customization throughput from Custom Web Application Development to portal development. Goyal infotech has some of the industry’s best PHP Application developers and programmers with high caliber skill sets and expertise. "Let our caliber enhance your Web Application"
As a PHP Development Company we have a very lengthy involvement in scripting. Since use of PHP is substantial accross all web languages used in indian market, it makes PHP a perfectly suited for developing dynamic web pages. At Goyal Infotech we undertake both standard framework built websites or stores and even high end Custom PHP Development for websites with custom architechture. PHP is an open source, robust and freely available language. Our experienced PHP development team can help you devliver high calibre php web development with customised solutions and efective cost. Using our PHP Development Services we can help you build great ecommerce stores, CMS, CRM and other complex deliverable required by your business. Our dedicated team and seamless support can help you get flexibility and scalability solutions that can help you achieve great results. If you want us to manage your PHP development tasks we would be looking forward to hear from you soon.